Grande Synthe "jungle", camp for migrants in Grande Synthe, Nord pas de Calais region, France. 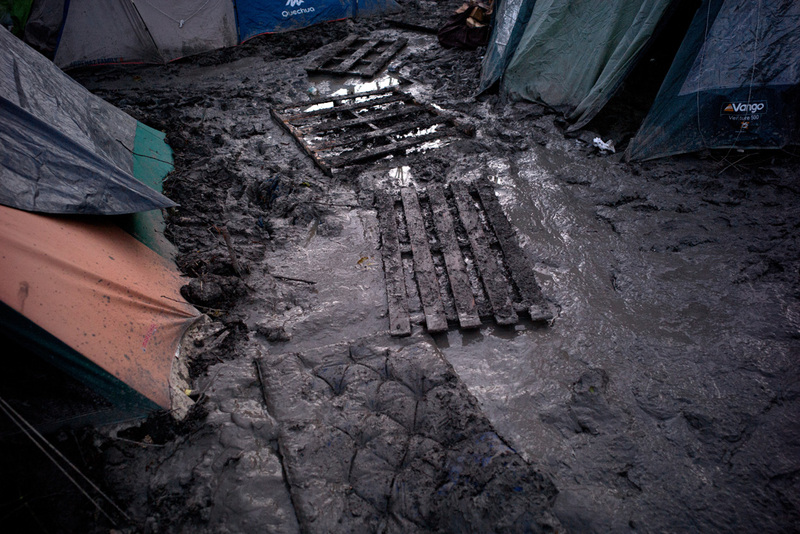 \n\nPallets are used by migrants to walk in this muddy place. That is almost the only way to reach their tents. Cold weather and humidity make the ground a constant source of coldness.